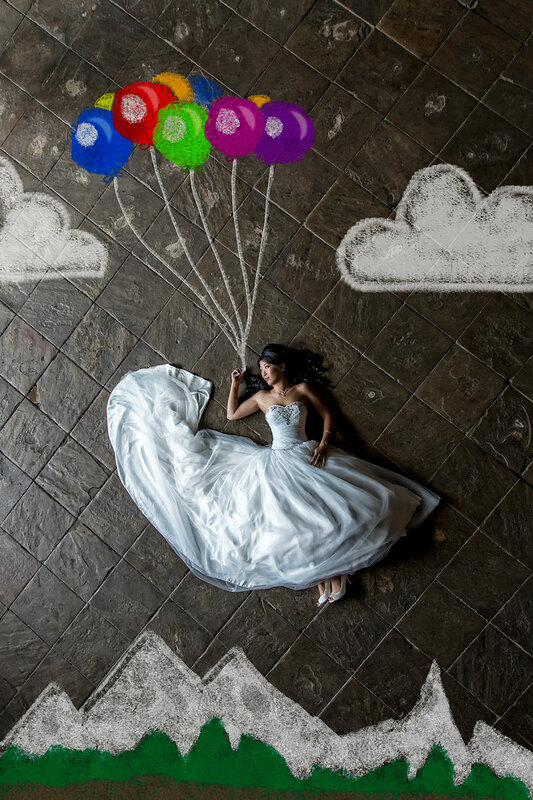 Today Shabz & Mya were married at Oakwell Hall, a beautiful Elizabethan manor house which sits in period gardens and is surrounded by 110 acres of Country Park. The weather was chilly, but sunny as we arrived at Mya’s parent’s home. This was going to be a very busy day for Mya as she actually had 3 wedding outfits, and would be changing them for each different ceremony throughout the day. Her first dress was for the Chinese Tea Ceremony. Keeping with tradition Mya & Shabz were going to hold this Ceremony at home with her parents and family, and would then travel together to Oakwell for the civil ceremony. The final ceremony of the day would see Mya change for the last time in to her beautiful sari. All of these dresses were amazing and the happy couple had a photo session in each one, which was fantastic. The weather was holding up, so we had a great opportunity to get out in to the gardens for some great autumnal shots before it was time for dinner. Their wedding breakfast was held in the Oakwell Barn, and it looked stunning, huge paper lanterns, fairy lights and candles filled the room with a warm golden glow as the sun was setting outside... a perfect winter wedding setting! With the last of the daylight fast diminishing we just had time for some last shots of family and friends before the happy couple departed for the airport in readiness for their honeymoon flight. 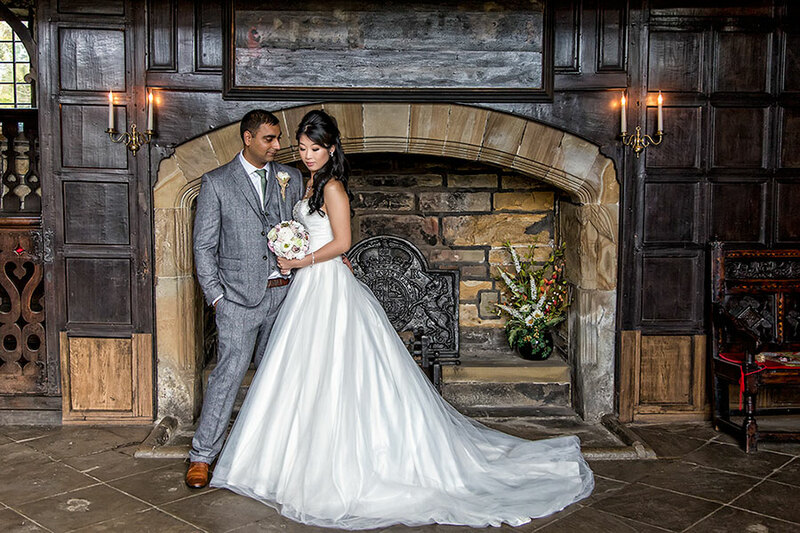 We would like to thank all the staff at Oakwell Hall, for helping to make Mya & Shabz, wedding perfect and for looking after us so well.